All housing is within walking distance of the facility and there is no need to have a car. The least expensive option for housing is to share the candidate housing with other candidates. This is a great way to gain some friends as well as help each other during training. There are 2 single beds per room with a common area kitchen, a refrigerator and basic kitchen supplies and dishes. There is no daily maid service and you are responsible to clean up after yourselves. There will be cleaning supplies provided for you and there are laundry services also. You will be provided a clean set of sheets per week. This facility is just a stones-throw from the Resort. More great food for less! You will be saving 100s of dollars here at Cabo Pulmo than other IDC resorts. I have consistently received above-and-beyond service from this place and all of its lovely employees.” Marissa M.
“Very happy with the service, customer service, promptness, and they also offer a warranty for 90 days.” Ryan A. 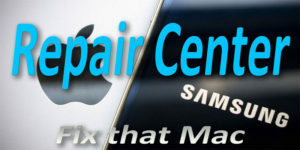 Copyright © Fix that Mac - iPhone, iPad, Mac are Trademarks of Apple Inc.